"Jane the Virgin" star Gina Rodriguez says there's "twists and turns" to come in the show's final season. The 34-year-old actress discussed Season 5 and the impact the CW series has had on her life in an interview with Vanity Fair published Wednesday. 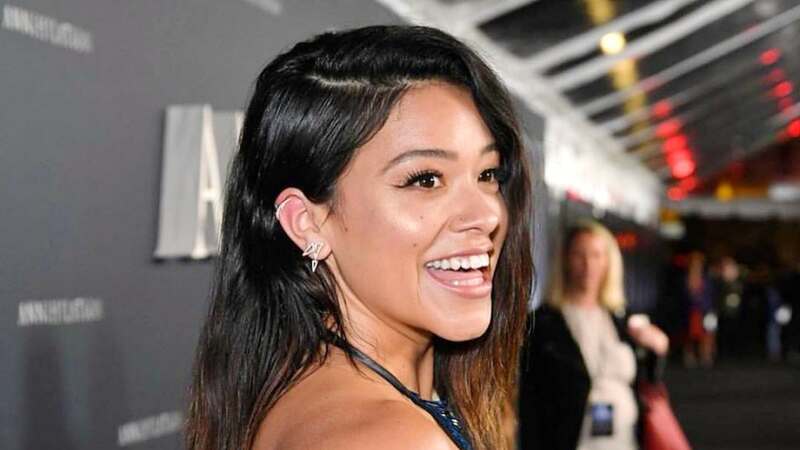 Rodriguez plays the title character, Jane Villanueva, in "Jane the Virgin," and credited the show's writers with helping the series finish strong. "There's a lot of dope things this season. Honestly, I feel like we've been so privileged to have such outstanding writers for all five seasons," the star said. "I'm really excited that we're closing up a show with such tenacity and nobody let up." Rodriguez teased a "roller coaster" of emotions to come, saying "everybody was in tears" during a table read for the penultimate episode of the show. "Season 5 is incredible -- it still twists and turns. It's gonna give you that same beautiful roller coaster of a ride of emotions and experiences," the actress said. "There's such beautiful episodes outside of the spaces that we're used to, and it just really gives us a different scope of what Jane is going through and how we're gonna close this whole story up and lead you into the spin-off," she added. Rodriguez said she's been "a raw nerve" as the end of the series draws near. "It's just such a hard thing to, to express what Jane has done, not only for me and my career and making my dreams come true, which could be enough because it's absolutely everything," the actress said. "It gave me the opportunities it gave me to give others opportunities. The way it taught me about myself. The way it helped me grow as an actor, as an artist," she added. "I mean, Jane is the love of my life. This experience was." "Jane the Virgin" returns for a fifth and final season Wednesday. The series co-stars Andrea Navedo, Yael Grobglas, Justin Baldoni, Ivonne Coll and Jaime Camil. The CW ordered a pilot for a "Jane the Virgin" spinoff, "Jane the Novela," in January. Each season is based on a different fictional novel written by Jane. Rodriguez will executive produce with "Jane the Virgin" showrunner Jennie Snyder Urman. Kehlani gives birth to daughter Adeya: "In love"